Over the years, my decor tastes have changed, but there is one look which I find constantly appealing. The whitewashed look of homes in the Hamptons, Cape Cod... think Something's Gotta Give and the sets of the TV show Revenge. 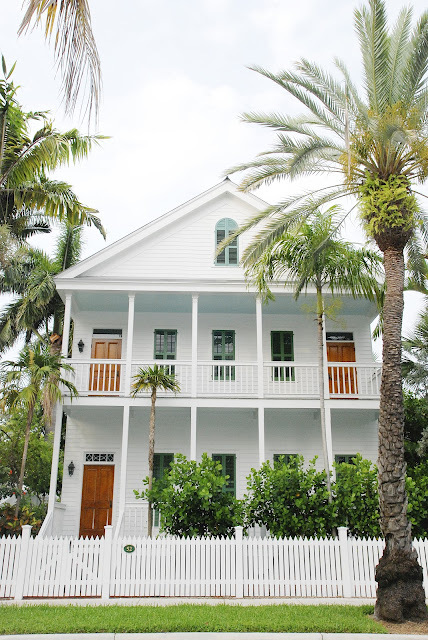 I love that clean fresh white look and only wish I had a home which suited that style. So when we decided we were going to Key West, the southernmost city in the continental US, a city characterized with palm trees and sunny shores, I knew I would get some of that beachy vibe I craved. Key West didn't disappoint. The first thing you notice about the city is how colourful it is. Pretty houses and stores, painted in vibrant brights and soft pastels. It was fun to see all the louvered shutters in shades of teal, aqua, and buttery yellow! And then there were the details... look at the marigold scallops on this house! Paired with the aqua shutters it just screams beach. The craftsmanship in these homes was impressive. The details were so well thought out. I like the x-detail on the railing and the famous haint blue ceiling of the covered porch. So southern! We walked through an area of Key West called Truman Annex and it was just delightful. 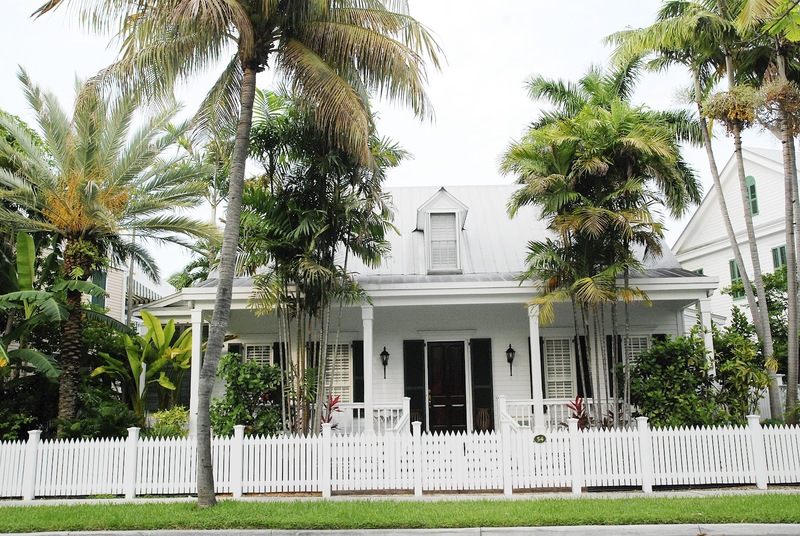 Street after street of palm trees, gorgeous homes, white picket fences, all beautifully manicured. The weird thing though... there weren't any people! There were no lights on, no windows open, no signs of life anywhere. I wonder if the entire village was rental homes? Hope you enjoyed this little jaunt through Key West! I love all of these homes. I could move in right away!